St Lucia South Africa Accommodation, from small quaint Bed & Breakfasts, Lodges and Hotels one has a large variety of options to choose from. Not only is St Lucia a coastal town with an incredible wildlife population but also a World Heritage Site since 1999. Please note that high seasons are incredibly busy in St Lucia and Accommodation should be booked prior to avoid disappointment. What Makes St Lucia so Special ? Cape Vidal is a must to go to. We spent hours at the beach which was clean and absolutely beautiful. The area is ideal for young families as well as adults, there are lots of operators based in the town who offer various trips and tours around the wetlands & Cape Vidal with the Estuary Cruise, the croc park or maybe some goat milking a the local cheese farm, lots of nice accommodations and some great restaurants to enjoy. 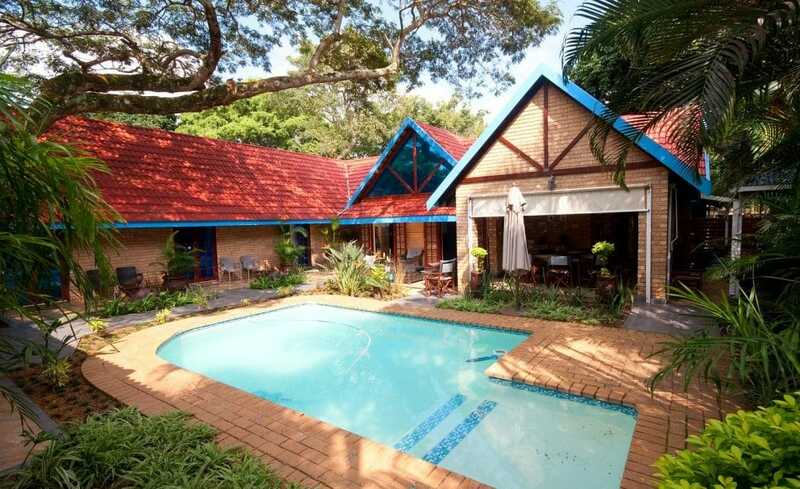 St Lucia, KwaZulu Natal offers a wide diversity of accommodation styles. All accommodation is listed below including their features, please note that the list includes both bed and breakfast, guesthouses, lodges, backpackers and hotels all found in St Lucia. Set in the heart of St Lucia, this Bed and Breakfast offers 5 rooms all air conditioned and en suit. Enjoy the benefit of 2 lounges one indoor and one outdoor ideal for those tropical days. Splash pool, secure parking and complimentary wifi throughout the property. At Heritage House is also affiliated to Heritage Tours & Safaris and thus offers some incredible safari opportunities departing daily. Thea your host has numerous years experience in the hospitality industry and will ensure that your stay is welcoming and homely. Don't forget to enquire about the incredible tours and safaris. This is one of those rare and extraordinary places to stay for a holiday. Affordable B&B accommodation in St Lucia South Africa, situated within the iSimangaliso Wetlands Park, formerly known as the Greater St Lucia Wetlands Park. Afrikhaya B&B is spacious, spacious rooms and the accommodation is warm and welcoming. Afrikhaya B&B is situated close to the St Lucia beach and the surrounding game reserves, which makes it the perfect place to base yourself to explore St Lucia and the surrounding areas. Afrikhaya B&B can also advise about tours and activities and make advance reservations for you. This property offers such splendor. We stayed 3 nights with Joyce and Marcel truly wonderful guesthouse. Recently opened St Lucia Livingston Lodge offers some incredible amenities and super service. Situated in the heart of St Lucia one may easily enjoy strolling to town to enjoy one of the many restaurants within the area. Heart warming and comfortable we are sure you will enjoy this lodge. All rooms are air-conditioned, en-suit and stylishly decorated. Info desk and super Staff will ensure your comfort at all times. Take time out at the outdoor lapa or enjoy some time in the pool after a full days outing. Myself and my husband stayed here for 3 nights, Elegant property, beautiful bedrooms and a marvelous front of house lady. Turtle Bay Lodge offers clients an ideal get away, with the splendid opportunity of participating on a deep sea charter all in house. The lodge is well equipped in ensuring that all of your needs will definitely be ensured. Well situated and in walking distance to town. Keep an eye out for the local hippos as they pass by at night grassing on the grass. Super staff, info desk and much more will ensure that your stay will be a super one. Should you be interested in a charter fishing outing then please enquire at the front desk. Bhangazi Lodge/ Bed & Breakfast offers 4 comfortable double guest bedrooms. All rooms offer private balcony and entrance, all rooms are en-suit and styled with an African theme. Set in a tropical garden with pool the ideal place to unwind and relax. The lodge is also within walking distance all restaurants and shops. Wimpy you're host will ensure that you are looked after and please enquire should you require any safari excursions or one of the most popular outings the Hippo & Croc boat cruises from the information desk. Should you be interested in any Big 5 Safari excursions then why not join in a safari departing daily from St Lucia. Beautiful place with an African Theme. 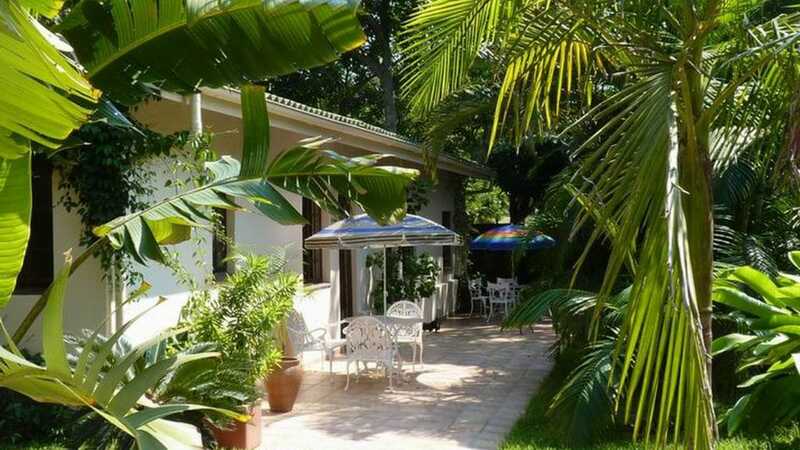 Anna’s Bed and Breakfast in St. Lucia, KwaZulu-Natal, South Africa is set in a compact garden of palm trees and indigenous cycads and offers a quality stay befitting our 4 star rated accommodation establishment. The spacious dining and lounge area with its high ceiling and open plan design proffers a homely ambiance - a unique wooden staircase rises to the upstairs bedrooms. Sliding doors lead to the cool covered patio which hosts a magnificent table and chairs crafted from old railway sleepers - an ideal place for cool meals on hot days. The designer swimming pool in the tranquil garden is the ‘cooling-off’ zone after a hard days touring. A lovely personal house with lots of space to relax in. Serene-estate is the best base for exploring the magic landscape with pristine beaches and spectacular wildlife in a malaria free region. The modern design of the new guesthouse is a mixture of minimalist architecture and New Forms with the characteristic bent lines. The challenge was to achieve an optimal synthesis between architecture and natural landscape. Luxury, Comfort are the first impressions when arriving at Avalone. This property is situated on the outskirts of St Lucia, bordering the green belt. Listen to Bush Babies or witness Hippo grazing from your bedroom window. Splendor and wildlife at it's best while in St Lucia South Africa. Stayed here for a few days recently and had a fantastic time. Monica was so helpful and kind. Whalesong Bed and Breakfast is situated on the Elephant Coast in the heart of the exquisite St Lucia World Heritage Site between Lake St Lucia and the Indian Ocean in South Africa. St Lucia won KZN’s town of the year in 2010 and is unique in that it is the only private village in the world that is surrounded by a world heritage site (natural wilderness). This unique village provides the visitor with flexibility, comfort and freedom to come and go with ease. Quiet location, clean comfortable rooms, friendly and informative hosts. We really enjoyed our stay! The hosts are really friendly and helpful. Hospitality at it's best, Rica and Francois are sure to exceed your expectations while at Santa Lucia Guesthouse. The home features an impressive garden, pool and rooms are nice and spacious. The property is in close proximity to town and therefore in walking distance to all restaurants and shops. Keep an eye out for the resident Hippos that stroll the streets at night. Pop into the info desk for some incredible safari outings. This venue was like a home away from home. A magnificent colonial homestead, situated on the banks of the St Lucia Estuary. This lodge offers splendid sunsets, ample and spacious rooms all decorated tastefully. This lodge gives you a sense of pure bewilderment nestled in and among st thick lush bush. Its no surprise that this lodge is most frequented by Leopards and Hippo's during the dark hours. A large swimming pool, info and booking desk and all at ones disposal. Umlilo Lodge (Umlilo is the Zulu word for fire) is a 4 star (TGCSA Star rating ****) guest house situated in the small village of St Lucia, the only private village in the world to be completely surrounded by a World Heritage Site. We offer 11 comfortable en suite guests bedrooms, All rooms have air - conditioning, 10 TV channels, mosquito nets, hair dryer, safety deposit boxes, refrigerator, complimentary tea & coffee facility etc. Guests can choose to laze on the wooden deck by the pool, make use of full internet in our dedicated guest internet room as well as WiFi for guests who would like to bring their own computer (e.g. laptop). A true gem while in St Lucia. This was a little bit of paradise in the middle of Saint Lucia. Stylish 4 star Bed & Breakfast Accommodation centrally situated in the town of St Lucia Estuary. Lidiko Lodge is situated in the village of St.Lucia, Zululand, KwaZulu Natal, South Africa, surrounded by the Greater St Lucia Wetland Park (iSimangaliso Wetland Park) an UNESCO World Heritage Site. Set above the Great St.Lucia lake, on a coastal dune, the main lodge offers bed & breakfast accommodation in 16 well appointed air-conditioned en-suite garden rooms. All rooms offer a private patio and lead onto the tropical pool area or park-like gardens of the lodge. Exclusive Home Hospitality and Quality 4 Star Bed & Breakfast accommodation in South Africa St Lucia Zulani Guest House, the approach is flagrantly romantic, the look is soft, superbly spacious, extremely stylish, however you can't escape the age old South African hospitality. Your host June will ensure that you are taken care off at all times. The property was refurbished recently thus ensuring your comfort. The guest house owners welcomed us warmly and nothing was too much trouble for them. True to its name Amazulu is a African Lodge all under cover with thatch, experience the way thatch feel. This property is well situated centrally within St Lucia. Once you have entered the lodge one will enjoy a tropical garden and pool situated centrally to the lodge. All units are tastefully decorated with a Zulu theme. Centrally situated in the heart of St Lucia. A little gem of a place Even though it's in the main street once inside you feel miles away from everything. Lalapanzi Guesthouse is situated on the greenbelt within St Lucia this offers some tremendous wildlife sightings while over nighting at Lalapanzi. St Lucia was an amazing place to visit with all its wild life and beaches. 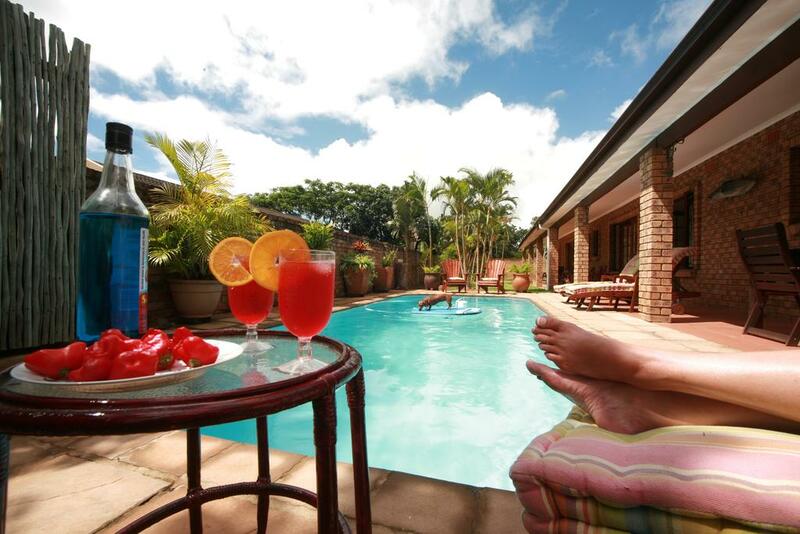 This 3 star Bed & Breakfast is situated within St Lucia, friendly and accommodating. An ideal property to sit back and relax. Inquire at the front desk what to do. Parker's Cottage's affordable, spacious and splendidly decorated. 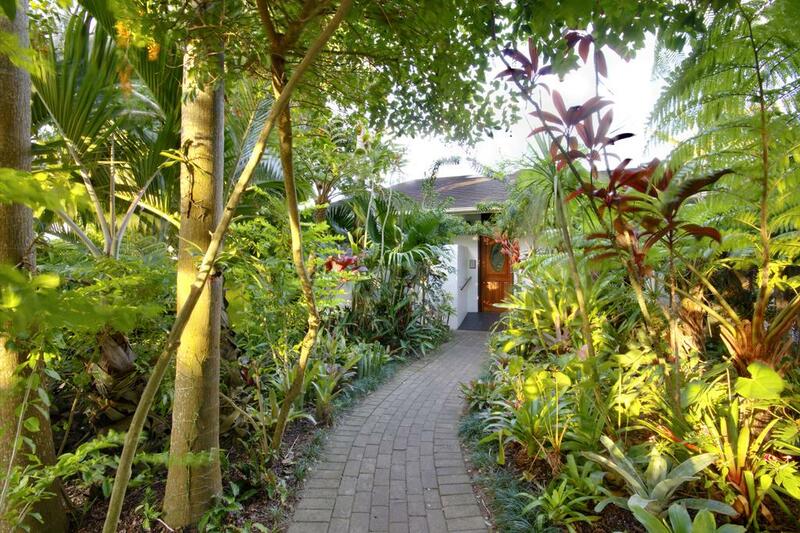 Enjoy this tranquil and ideal property centrally situated in St Lucia. Enjoyed the stay here. Very clean and comfortable Thanks to Craig. This is the longest trading guesthouse in St Lucia. All rooms have direct access to the pool area and each unit also boasts private balcony. The room was great. The house was great. .
Offering you 8 free standing thatched units all decorated with an African theme. This property is a splendid and magnificent place to enjoy ones holiday. After a tiring long flight, it felt like we came to paradise. Featuring 4 stylish rooms decorated with an African theme. The lodge is centrally situated within the town of St Lucia. Stunning Accommodation. Owned by Albert and Cisca, these owners will ensure that your stay is comfortable and relaxing. All rooms are spacious stylish and en-suit. An ideal place to experience and wonder the iSimangaliso Wetland Park. One of the only authentically thatched Guesthouses in St Lucia. Surrounded by Koi ponds and a superb subtropical garden. The ideal atmosphere to sit back and relax while enjoy St Lucia. African Ambiance offers you ample space, secure off-road parking and much more. John the owner is a super gardener and this is truly evident with the collection of orchids, exotic plants and bromeliads. Situated within the heart of iSimangaliso Wetland Park (St Lucia). This ethnic styled Guesthouse offers large spaces ideal for that holiday feeling. Why lounge about at the pool after a days golfing, safari or one of the numerous other types of outings available from African Dreamz. This luxury guesthouse is situated centrally within the St Lucia, offering you a tranquil escape from the hustle and bustle. Modern open plan with ample space one can kick back and relax. All rooms offer all the needed amenities and are all air conditioned. Recently opened Pompano Guesthouse offers 4 en suite rooms. All rooms have all the needed amenities that one could need while on holiday. The staff are incredibly helpful and will undoubtedly ensure that your stay at Pompano Guesthouse in St Lucia is a comfortable one. King's Palace St Lucia South Africa Accommodation – Kings Palace! Self Catering Accommodation in the Heart of St Lucia.Kings Palace is situated in the beautiful, tropical town of St Lucia South Africa, in the Greater St Lucia Wetlands Park, a World Heritage Site. Ideal for an overnight stop, your annual vacation, tour groups and team building, these luxurious self-catering apartments are clean, comfortable. Perna Perna offers a variety of 2 bedroom apartments, ideal for self catering during your St Lucia holiday stay. Adequate lounge, patio, balcony and well equipped kitchenette. Main bedroom consists of double bed with 1 additional room fitted with two single beds. Centrally situated and within walking distance to town. Ideal for family vacations seeking self catering. Grading Council South Africa, how exactly are the properties graded then in St Lucia South Africa. Herewith a list and requirements needed for the various star grades both in St Lucia and South Africa. Tourism Grading Council of South Africa was established in 2002. By definition while South Africa this is a easy to read breakdown as to how various properties are assessed and graded. Bed & Breakfast, informal accommodation with a limited service that is provided either by live in family or manager/manageress. Guesthouse, renovated specifically for offering overnight accommodation the property must also have more than 3 rooms. Country House, renovated specifically for overnight accommodation set in a tranquil and peaceful environment. For lodges please click on the above link. Not only can one enjoy and relax while in St Lucia, but being a world heritage site one is truly spoilt with numerous safaris and outings departing daily from Town. 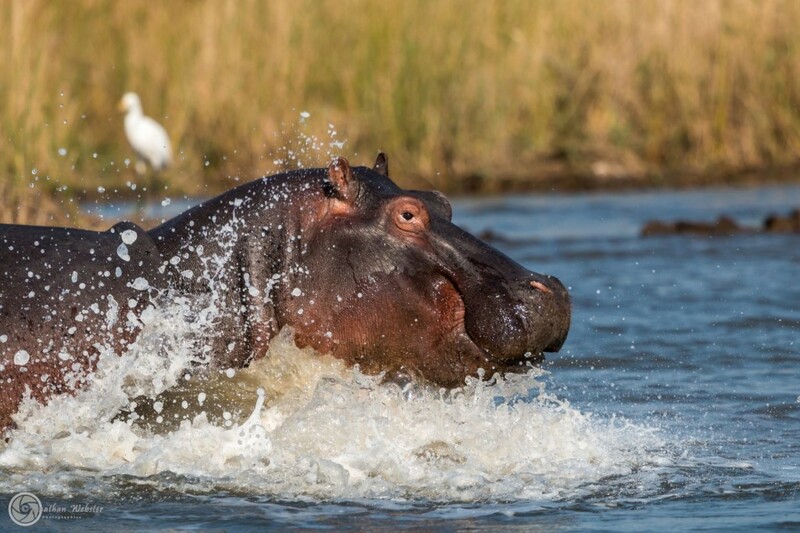 These outings include Hippo & Croc Boat Trips, Turtle Tours, Full or Half Day iSimangaliso Wetland Park Tours, Night Drive Safari's and Big 5 Safaris to Hluhluwe Umfolozi South Africa's oldest proclaimed game reserve. It's a diverse and incredible area to visit, should you require any additional information please do not hesitate to email us today.